Choosing a nursing home for your loved one is a difficult decision that should not be taken lightly. Every effort should be taken to ensure that the facility is safe, sanitary, and provides your loved one with the type of care he or she needs. Chicago Nursing Home Abuse Lawyer Phil Berenz is here to compassionately fight for YOU! Sadly, abusive conditions exist in many nursing homes, and despite your intentions to find a quality care facility, your loved one may have suffered from the malicious or negligent actions of an aide, nurse, or other nursing home worker. No one should have to experience abuse or neglect at the hands of their caretakers, so if you or your loved one has been a victim of nursing home abuse, I want to help you take action against those responsible for such reprehensible and inexcusable treatment. 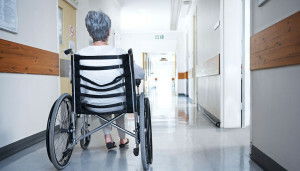 While no one ever expects that the assisted living facility where their family resides could be responsible for committing acts of neglect and/or abuse, the sad reality is that more than 30% of such facilities in the United States have committed some form of abuse, and this statistic only takes into consideration cases that have been reported. Federal and Illinois laws guarantee nursing home residents certain rights when staying in a nursing home. Among these rights are the right to a clean and safe environment, the right to the proper medical care, the right to make decisions about that care, the right to a certain amount of daily attention, and a stay that is free from abuse or neglect. Unfortunately, many nursing home workers in Illinois do not always honor these rights, and residents end up abused or neglected. If you believe that someone you love at a Illinois nursing home is the victim of abuse or neglect, you should notify local authorities and contact Attorney Phil Berenz and Berenz Law Network right away. We have helped many nursing home abuse and neglect victims and their families in Chicago and throughout Illinois recover personal injury compensation for their injuries, pain and suffering, and other damages. Sadly, nursing home abuse cases often go unreported. Victims are sometimes silent out of fear or embarrassment, and loved ones do not always know the signs of abuse to look for. My firm and I are dedicated to preserving the rights and dignity of all people. We understand that abuse cases are highly emotional and we will handle your situation with the utmost professionalism and care. Many families place their elderly or sick loved ones in nursing homes because they need specialized and round-the-clock care. 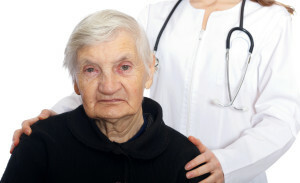 When a stay at a nursing home leads to infections, bed sores, malnutrition, dehydration, or death because a loved one was physically neglected, did not receive the proper medical care and attention, was housed in unsanitary conditions, or was not fed or hydrated properly, Berenz Law Network can help you file an Illinois nursing home neglect claim against the negligent nurse, doctor, worker and/or the Illinois nursing home. Your elderly or sick loved one is entitled to personal injury compensation for their injuries pain and suffering, abuse, and neglect. My firm will zealously pursue your financial recovery and, if necessary, we will file a nursing home abuse lawsuit and fight for your compensation in court. If you or your loved one has suffered from nursing home abuse, I want to help you fight to see justice done. I know what it takes to hold nursing homes accountable for inexcusable acts of neglect and abuse, so contact me today at 312-375-6524 for a free case evaluation.